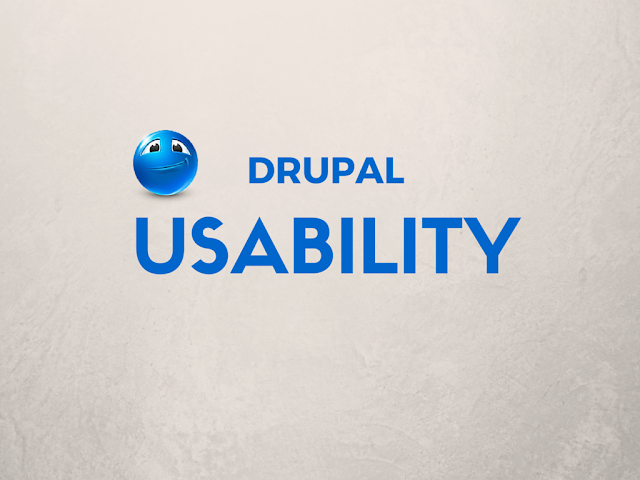 Drupal is the most used and as well easy content management platform which most of the individuals are using. There are many websites which are empowered with the multiple add on modules of the Drupal. However there are some usability issues and so search engine giant Google is focussing with the drupal team and conducting a usability study which is available online for everyone to learn further in this regard. If you want to change the password for the drupal login. Then it is really a headache. The option of changing password is included in the edit profile form. This is such a long form where users have to scroll down to find save button. Now the users wants a special interface where they can change password in just a couple of seconds. It is when we are sked to provide the username, for sure we will end up keeping some funny or meaningless names. But the problems begins if you do so, drupal will remember this entered username and will represent you with the same name where ever you post or comment. So everyone will be seen that name instead of your real name. Drupal never ask for a real name and this is the main problem which the users wants a change in. Even though this is not a big deal or mistake, all the drupal users wants a change in this regard. They want another tab where their real name is asked and want this name to be represented besides the comment and the post or any other online activity whichever they make with this account. Drupal is now used by many business and here, everyone has to save loads of content without any confusion. It is while adding content to the webpage, many a times we keep on changing the data multiple times. But the words options which we have here are ‘save and unpublished’ and ‘save and published’. These two are quiet confusing and irritating the users every time they work on this platform. The WordPress has already did it right which is pretty easy and comfortable for everyone to use. The word ‘draft’ which we are generally using gives the sense to save and not publish it. There can be even a check box before the publish button. There ends the confusion. They can even add the options like ’save’; ‘publish’; ’preview’. It is when we are not using website for a while and suddenly get surprised with lots of comments one fine day. Then we have to do moderation and this is very hard and time taking with drupal. On the other hand to do the same task of deleting the unnecessary comments or letting them in the bulk mode takes just 10 minutes with WordPress. However, one has to struggle a lot for an hour or so to complete using the drupal. Use comment management plugin. We like this comment manager plugin that may make you little more productive on managing comments on drupal site. Everyone knows the power of internal links. These are very essential to provide more information to the user. But it is when the user finds that links are broken then it can be said as the worse UI problem he faces. Till now people used to copy paste the URLS whenever they want to include them. This has to be worked on as it is always not comfortable to introduce internal links. Till now the people are sign the TinyMCE plugins to achieve this purpose. But the users wants this to be resolved just as there is a functionality in the Wordpress. It is when all the people have finally appreciated the Drupals Dashboard. There are many other sections like content overviews and view bulk operation modules. In addition to these factors, all the users are expecting some different and innovative solutions which are unique to drupal. Now everyone are getting irritated as the overview section is not linked to the contents and this is what all the administrators are looking for. Often site sections are important to everyone. These must be linked to the views in the content overview section. At times, taxonomy and providing access to all other sections will help to certain extent. This is not that good in the joomla but this has served the purpose. Most of us have used Drupal and found that views and the CCK are the powerful tools to build stunning websites. However these must be found to use to their potential. Reegan is a renowned Drupal developer by profession and currently working with Drupal Development Projects. In case, your looking for any Drupal Website then it is better to Hire Drupal Developer who can serve you the desired Services.